Morning, trying to get this done before I leave for my early morning jog! It has been a busy week, and I can't say one of the best I have had, Jamie has been horribly sick since Wednesday, and as I type this on Monday morning, he is still not well, so I am going to have to take him back to the doctor this morning!! 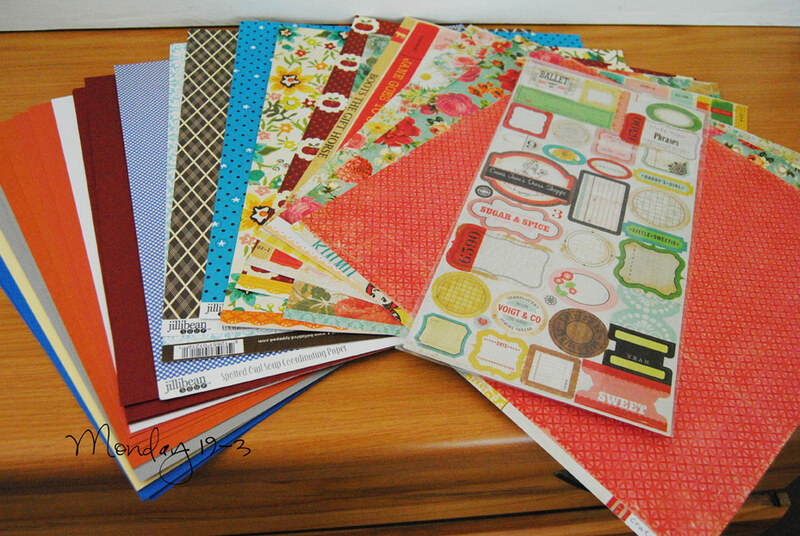 Part of the parcel of goodies I got from the Scrapbook Studio. Makes me happy!!! Our first green peppers from our veggie patch! Also makes me so happy! 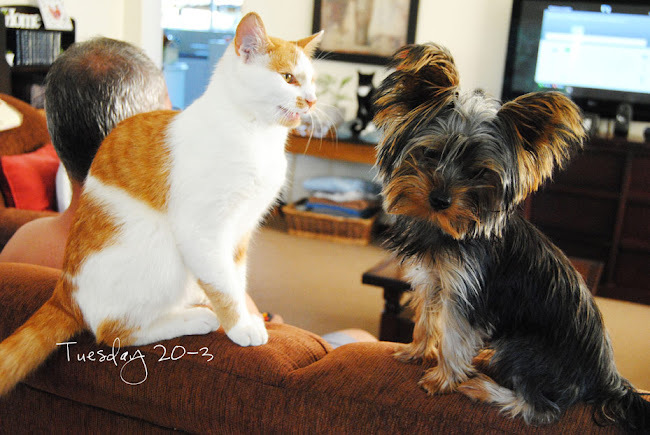 Pepper my Yorkie thinks he is a cat!! My poor baby!! He has been so sick! Caide left to go on his hocky tour to Treverton today. I have had quite a lot of time to knit while sitting with Jamie and managed to finish my Irish Coffee, I am over the moon with how this one turned out. Can't wait to wear it! Thanks for stopping by today, hope the week ahead is good for you! Love the top you made, it's adorable! Love to scrapbook, and your pepper from the garden, delish! And I hope your son is feeling better soon. That knitted top looks wonderful! You'll have to show a picture of your modeling it for us :0) Sorry your little guy is so sick. I hope he's better soon. That pepper from your garden looks perfect. We haven't even planted yet so it will be awhile. So sorry to hear your son has been so sick. Poor little fellow. Your dog is so cute. Love the ears. 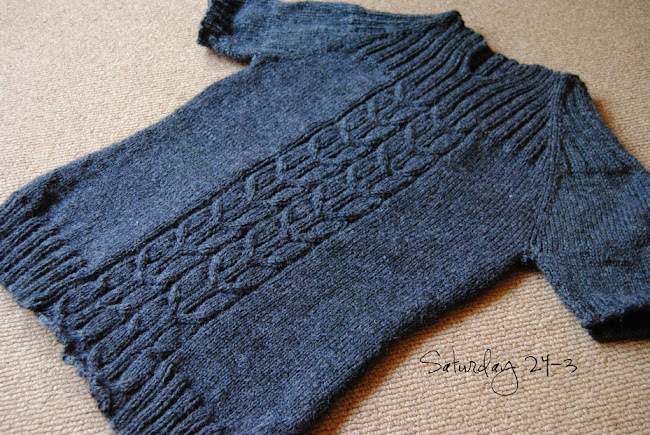 Yournsweater looks amazing. I'm very impressed. That sweater is magnificent! Africa is on my bucket list. Hope to visit one day. Have a wonderful week, and hope all are healthy! How exciting for your project life pack! Love the sweater too! Such awesome shots. Hope your little guy feels better soon!! Wow, what a hectic week it was for you. I'm so glad that Jamie is finally starting to show signs of improvement - yesterday really was a worrying day! Love love love the Irish Coffee knit - it really turned out wonderfully and was definitely worth all the work! 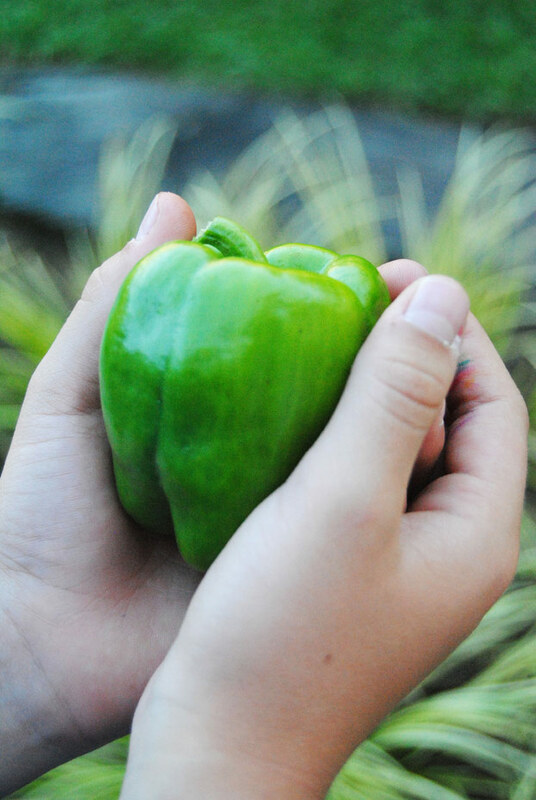 Congrats on your first green pepper - I can't wait until we have our own garden so that we can grow our own veggies too. 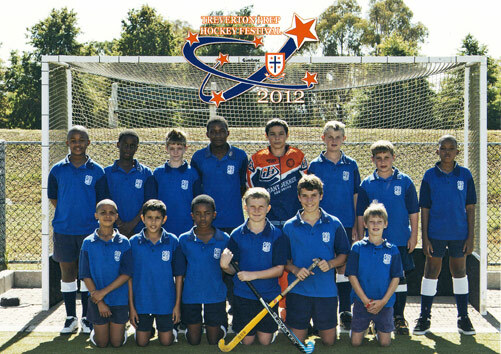 Caide looks like he had an awesome time at Treverton with his hockey side. 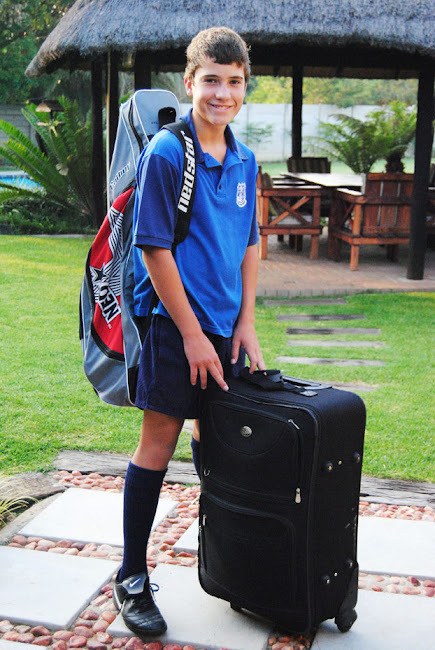 Here's hoping we hear lots about his future high school plans in the weeks to come! So so so glad to hear that Jamie is feeling a little better today, I have been soooo worried about him and Trevor was so distressed to hear about what he went through yesterday! Please give him hugs and kisses from us both. Your top looks stunning...are you taking orders yet...or should I just wait for hand me downs when you get tired of them!! Cant wait to see the veggie patch and sample all your fresh goodies too! I adore your sweater! It's so stinkin' cute!! I also can't get over Pepper. What a sweetie! I kept thinking of Skippyjon Jones, but my kids said, "No, Mom. Skippyjon Jones is a cat who thinks he's a dog." Oh well, Pepper still reminds me of Skippyjon Jones! Hello!! I love seeing your pictures, your boys are so cute and BIG!! 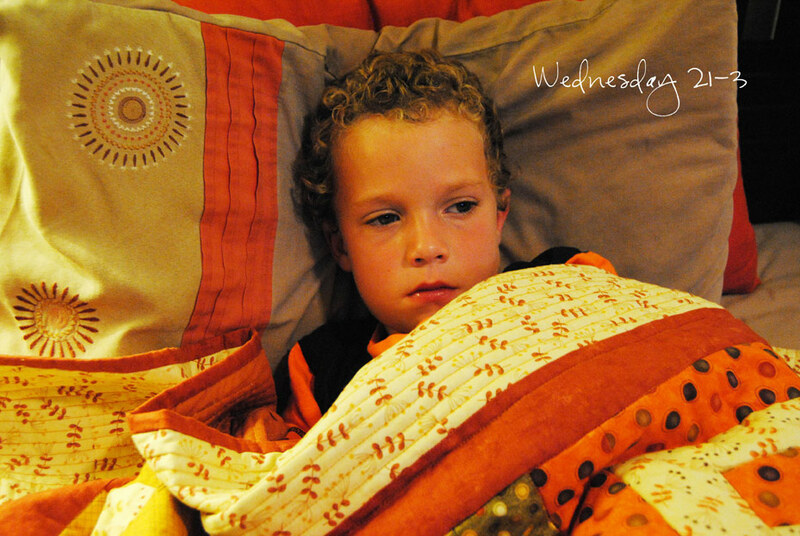 Poor little Jamie, sorry he's not feeling well. My son stayed sick for a month at this age, kept getting different virus. Sending hugs and feel better fast wishes for him. Love the sweater, it came out great!! Your Irish Coffee is gorgeous!! I love the colour, I do hope your little one is better.